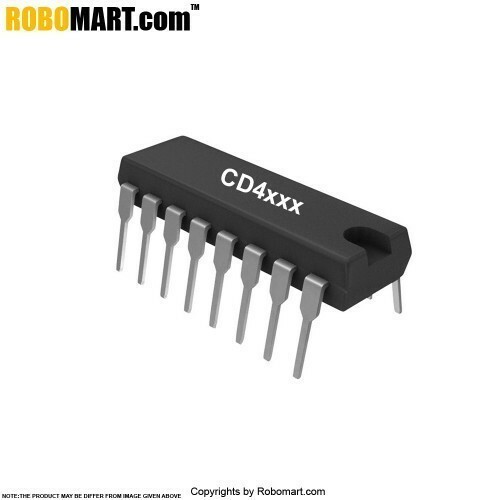 The CD4052 is a 4 channel analog multiplexers and de-multiplexers are digitally-controlled analog switches having low ON impedance and very low OFF leakage current. These multiplexer circuits dissipate extremely low quiescent power over the full VDD – VSS and VDD – VEE supply-voltage ranges, independent of the logic state of the control signals. Wide Range of Digital and Analog Signal Levels. Digital: 3 V to 20 V.
Low ON Resistance,125 Ω (Typical) Over 15 VP-P .
Signal Input Range for VDD – VEE = 18 V.
High OFF Resistance, Channel Leakage of ±100 . pA (Typical) at VDD – VEE = 18 V.
Binary Address Decoding on Chip. 5 V, 10 V, and 15 V Parametric Ratings. 100% Tested for Quiescent Current at 20 V.
Maximum Input Current of 1 µA at 18 V Over Full. Package Temperature Range, 100 nA at 18 V and 25°C. It is used for multiplexing.demultiplesing purpose. Also Searched as : CD 4052 ic, Astable/Monostable Multivibrator.